The world record for cup stacking is 4.813 seconds. The fastest mile run on spring loaded stilts is 7 minutes and 38 seconds. The fastest 100 meter dash is Usain Bolt’s is an incredible 9.58 seconds. The most wooden toilet seats broken with the head in a minute is Kevin Shelly’s (oddly impressive) 46. Efficiency. Ruthless elimination of “not to do’s”. Practice. Feedback. Improvement. And the end result is optimal performance. Now, you might think “Ok…but I’m not here to smash wooden toilet seats with my face or run a mile on spring loaded stilts”, but the truth is that you can implement the same ruthless efficiency in your days to become a productive and wickedly efficient machine. Resulting in a raise, increase in your bottom line, finally writing that book…or simply getting home in time for dinner each night. I know because I am the king of getting stuff done – fast and on time. Some of my clients call me ‘The World’s Most Productive Man’. Others, like my friend, client, and business partner, Bedros Keuilian, call me ‘The World’s Most Disciplined Man’. But I’m not a fan of that nickname for two reasons. I think it offends anyone in the military–men and women who are truly disciplined. Despite what you might believe…I’m really not that disciplined. However, I am a master of efficient systematization. I’ve built systems of steel that allow me to get more done in a day than most people get done in two weeks. As a result of my systems, it’s easy to be ruthlessly efficient with my time and compress a year’s worth of achievement into 90-days or less. And today, I’m going to give you some of my most powerful ‘Tactical Time Management’ systems…for free. I promise, if you put these into place, they will change your life and business forever. When a Navy SEAL team is planning a new operation, they always begin with a mission…an overarching vision of what must be accomplished. Whether it’s to kill a bad guy or gather intelligence on a high value target, every mission is built around one clear purpose and every individual on the team knows the specific role they must fulfill to accomplish that objective and get their brothers home safely. But SEAL’s aren’t driven only by the mission–the ‘what’. They are also driven by a core set of values–the ‘how’–that determine the way they will accomplish those missions. Their values of efficiency, loyalty, mission-focus, perseverance, and a willingness to embrace adversity are what lead the SEAL Teams to excel–and one of the primary reasons they are revered as some of the most exceptional soldiers on the planet. You’re not much different. Like them, you want to achieve big things. And to do so, you will need to cultivate a compelling vision for what you want to achieve and define a clear set of values to determine how you will achieve it. Without these two foundational pillars in place, you’ll simply do what makes sense in the moment with no regard for how that decision plays into your big vision. You’ll end up taking on projects that don’t serve you or pay you what you’re worth. Wasting hours on tasks you should have outsourced months ago. Or engaging in practices that go against your code of ethics, to achieve a specific result. What is your vision? What do you want to do, have, and be in this life? And just as importantly…What are the values you hold to be most important? What are the things that will and will not tolerate on your path to success and the things most important to you? For example, if your vision is to build an 8-figure fitness empire but your most important value is your family, then you must structure your weeks and days (something I’ll talk about later) in a way that allows you to spend quality time with your children and take your wife out for weekly date night while still making progress towards business success. Listen, with enough hard work and persistence, you can do, have, and be anything you desire. But until you know what you want to achieve and how you want to achieve it, you’ll be like a ship without a rudder…drifting through the water without a compass to guide you to your destination. So take 15-minutes sometime before the end of today to write down a vision for your life and clearly identify the non-negotiable values you’ll hold on your path to success. Until you have this in place, you won’t be able to manage your time or control your schedule because you lack the clarity required to make hard decisions. In the same way that SEAL Teams have a single mission objective–like killing Osama Bin Laden– and then execute that mission by following a sequential series of action steps–jumping out of a helicopter, kicking in a door, or providing cover fire–you must break down your big vision into small actions that can be executed daily, weekly, and monthly. The process to do this is simple. My vision for 2019 is to help 1,000 entrepreneurs double their income while working ten fewer hours each week. To do this, I need to close 250 new clients every 90-days, 20 clients a week, or roughly three clients a day. And so, using the planner I gave you above, I sit down at the beginning of each quarter to strategically plan out what must be accomplished and by when to achieve my goal. Here’s a quick video to walk you through the process and show you how I plan my quarters. As simple as this may seem, few entrepreneurs take the time to sit down and develop this clarity of focus–and their results reflect this decision. Listen, no matter how well you plan or how hard you work, you cannot control the external world. You cannot guarantee success. But without a clear and strategic plan for each day, week, month, quarter, and year, you all but guarantee failure. By creating clear metrics, daily, weekly, and monthly missions, and turning success into a numbers based game, you will greatly increase your odds of achieving your goals and living the life you desire. To achieve your big goals and dreams, you must first accept that what you don’t do is just as important (if not more important) than the things you are doing. You can go to the gym for 2-hours a day, but if you only sleep four hours a night and you live on a diet of pop tarts and Oreos, you aren’t going to make progress and you’ll destroy your body trying. Financially, you can make $500,000 a year or more, but if you spend it frivolously on things you don’t need or fail to invest in tax strategy and accounting, you can still arrive at the end of each month broke and struggling. Heck, you can even start a business with the best sales team in the world and killer marketing…But if you engage in unethical activities and sabotage your reputation, you’ll fail (think: Wolf of Wall Street). And in your day-to-day life, you can have a bulletproof plan for success and wake up knowing exactly what needs to be accomplished to move you towards your big goals and dreams…But if you allow yourself to get distracted by information, side hustles, and requests on your time that don’t serve your ultimate vision…you’ll never achieve your goals or execute on the plan you’ve created. To prevent this from happening, you must create what I call a “Not To Do List” or a clear list of boundaries and parameters that determine what habits and activities you will or will not allow into your life. I will not take calls before 10 a.m. These parameters prevent me from getting distracted by shiny objects and other people’s problems and give me the time and energy I need to focus on my most important priorities. And an important element of every not-to-do-list is to create a list of the ways you will and will not consume information. Listen, there’s more information available today than ever before in human history. If you try to listen to every podcast, read every book, and check out every blog article, you will make no progress and end up more confused and frustrated than you started off. It might surprise you to hear this, but I have never listened to a podcast in my entire life. Despite co-hosting one of the top 50 business podcasts on iTunes, I do not allow myself to get sucked into the podcast trap. Instead, I have conversations with mentors and peers that I trust and respect and I listen to their feedback and wisdom instead of spending three hours a day listening to regurgitated (and often conflicting) advice from people I don’t personally know. I’ve learned to be very selective with the quality and quantity of information I consume and, to achieve your big vision, so must you. Right now, take a few minutes to write out your “Not-to-list” and create a concise information strategy to ensure you’re only consuming the most relevant and helpful content available. This alone will save you six to eight hours this week. The next step in your tactical time management plan is to block off two hours every Sunday morning to go through your Perfect Week Planning Formula. To take a deep dive into this strategy, click here to read my article on Perfect Week Planning. You see, when most people plan their weeks, they start by scheduling work, meetings, and other professional obligations and then try to fit their workouts, date nights, and time with friends into the cracks in their schedule. But you’re going to flip this formula on its head. By planning and scheduling your personal engagements and legacy work (the most important work you can do each day–e.g. Writing a book, starting your business, training your team, etc.) first, you force yourself to make hard decisions about what you can and cannot do at work. You’re going to spend this week tracking your productivity and energy levels throughout the week to determine your “Magic Time,” the time during which you are twice as productive and effective as any other part of the day. Then, during next week’s planning session, you’re going to block off that time for deep work and protect it with your life. This will allow you to get more out of each week and make real progress towards your biggest goals instead of wasting time on menial tasks and putting out fires. You see, all too often, we schedule 10 lbs. of work into a 5 lbs. sack, sabotaging ourselves before we even begin and creating a vicious cycle of ineffective workaholism where we work 70 or even 80 hours…but still feel lazy. If you have a non-negotiable date night scheduled for Wednesday night at 7pm, it doesn’t matter if you are finished with your work or not…you have to go to date night. 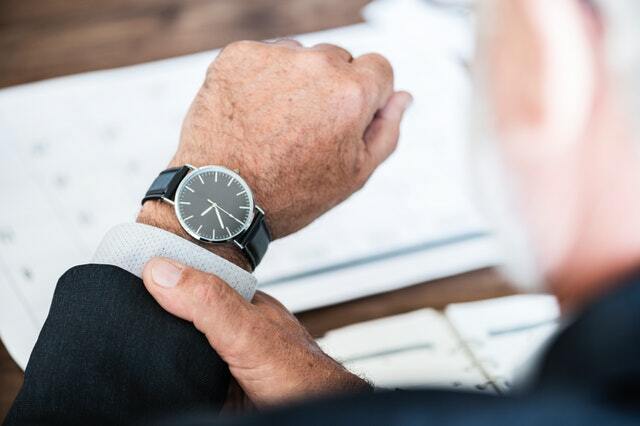 If you go to the gym everyday at 4 p.m., no exceptions, then you won’t allow meetings to run late or for clients to go over on their time with you. If you know that your magic time is from 8 a.m. until 12 p.m. every single day, you won’t be tempted to take calls, respond to emails, or allow notifications and interruptions from co-workers to distract you. You’ll be forced to ruthlessly chip away at the non-essential and block out all distractions until you are only doing the most valuable tasks and activities every day. And that is when real growth will start to happen even though you’re working less than ever before. With your vision created, your quarterly plan in place, your not-to-do list written out, and your Perfect Week fully planned, all that is left to do is to show up each day and execute on your mission. To help you do this even more effectively, you’re going to use Perfect Day planning strategies to ensure that you can get more done in less time. Instead of wasting the most valuable minutes of your day going through the perverse procrastination of a 2-hour self-care routine (do you really need to chant affirmations for 20 minutes? ), wake up, do something to energize your body–I drink a liter, walk my dog, and then get to work. No preamble. No wasted time. Simply get up and get in motion. Then, throughout the day, do whatever is necessary to eliminate distractions. If you need to leave your phone turned off and tucked away in a drawer in another room (like I do) then do it. If you need to leave your house to avoid being distracted by your children (so you can spend quality time with them later in the day) go work at a coffee shop or invest in an office. If you need to slap on a pair of noise cancelling headphones, lock the door, and turn off your WiFi to avoid interruptions and random web surfing…do it. Do whatever you need to do to stay focused and execute on your Perfect Day Plan. At the end of your work day, take 15 minutes to review what went well, what didn’t, and what your plan is to execute on the following day’s plan and improve your processes. Then, at the end of the day use my 10-3-2-1-0 formula to guarantee an amazing night of sleep and a flawless morning routine. If you do these steps for just 21 days, I promise you will find yourself with more free time than ever in your post-college life. And that is when you’ll become unstoppable, master your time, and compress 12-months worth of achievement into 90-days or less.